A complete solution to convert Thunderbird files to Outlook and other file formats such as EML, EMLX, MSG, PDF, and HTML. 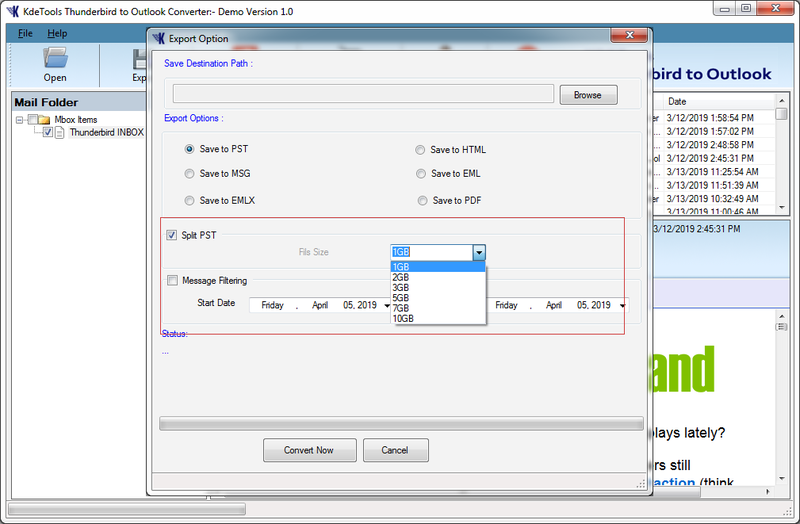 Converts Thunderbird MBOX files to Outlook PST and other file formats such as EML, EMLX, MSG, HTML, PDF, and HTML. 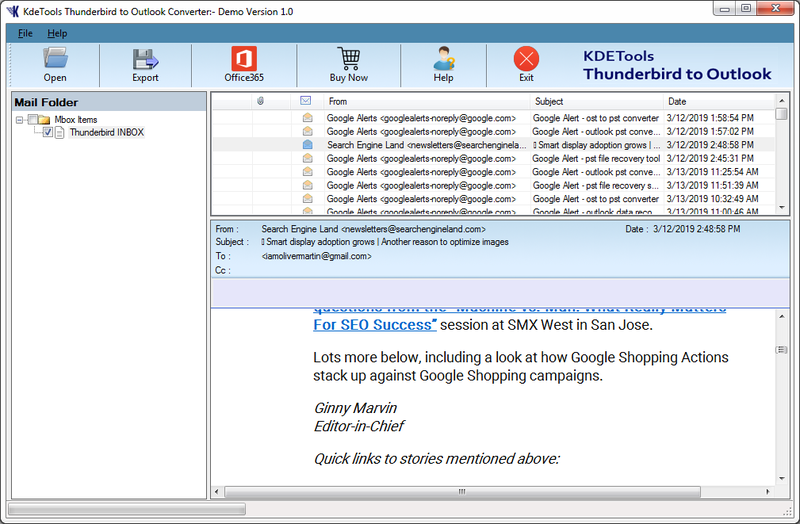 Supports MBOX files of Thunderbird for Linux, Windows, and Mac. Maintains Meta Properties of an email such as To, Bcc, Cc, From, Subject, Sender/Receiver's Details, and Attachments during the conversion process. It has a 'Message Filtration Option' to export Thunderbird data between two specific dates. 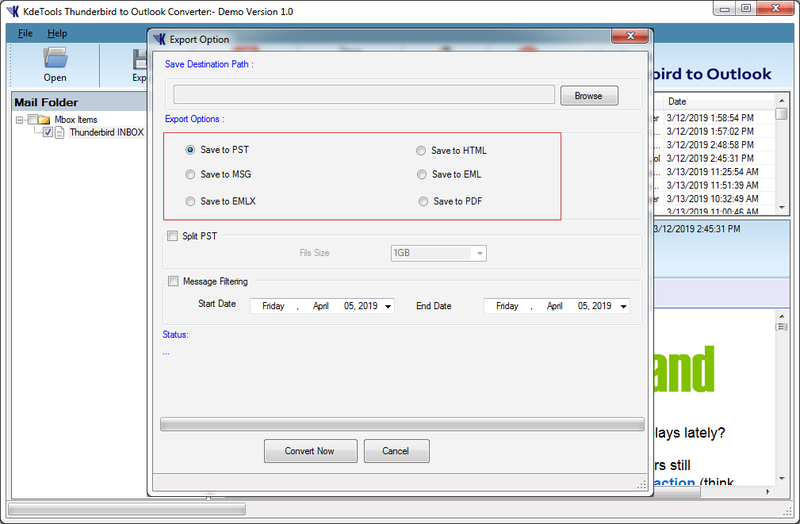 Converts single or multiple Thunderbird files to Outlook format. Converts Thunderbird Mailbox to PST with all types of attachment. 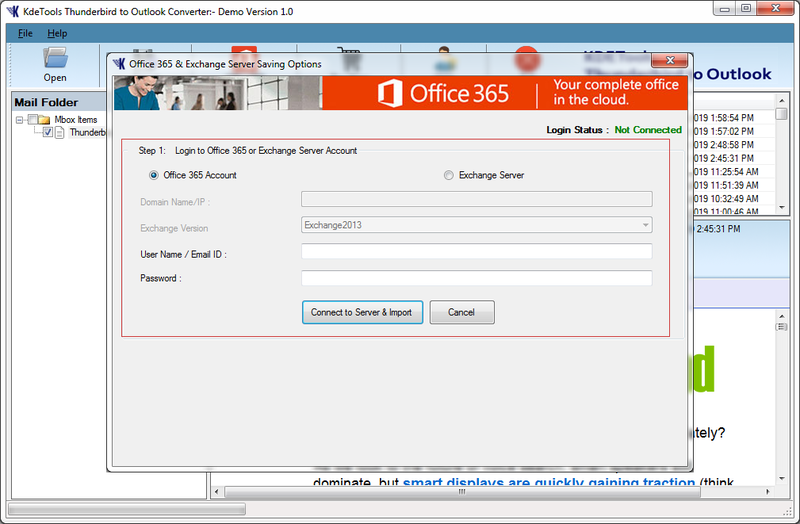 Imports Thunderbird file to Office 365 and a Live Exchange server. Mozilla Thunderbird to Outlook converter supports all the latest versions of Windows and Microsoft Outlook. Shows a free Preview of the files with all the emails and attachments before the conversion process begins. Thunderbird file converter supports batch conversion at a time. 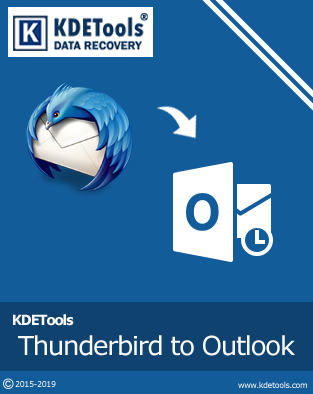 The Thunderbird to Outlook Converter is the perfect solution to convert unlimited Thunderbird files to PST format. With this software, the users can easily convert multiple Thunderbird files to PST format at once without losing any information. The Thunderbird to PST converter converts Thunderbird files to multiple file formats such as PST, MSG, EML, EMLX, PDF, and HTML. It also supports batch conversion and converts multiple Thunderbird files at once. Folder Selection: You can select a folder option to convert all the folder data. File selection: You can select the file option to convert a particular file. This software imports Thunderbird to Office 365 and a Live Exchange Server. This software securely converts Thunderbird files to Office365 account with all the Thunderbird Mail items such as inbox, outbox, sent items, folder, sub-folder, attachments, and notes. By Size: Splits up to 1 GB to 25 GB. By Folder: Exports selected folders only. By Date: Message filtering option to export items from a specific date range. The Thunderbird to Outlook PST Converter maintains all the Meta Properties of an email during the conversion process. The software maintains Meta Properties such as to, bcc, cc, subject, from, and attachment. The Thunderbird MBOX converter scans thoroughly the MBOX files and enables the user to take a free preview of the selected files before the conversion process begins. The user can check their mail messages remain the same in the original form. 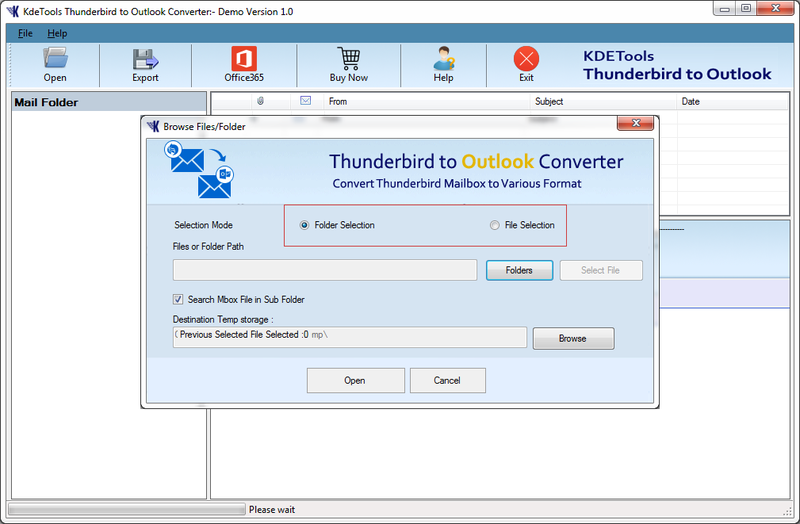 The Thunderbird MBOX converter supports all the updated and latest versions of Windows and MS Outlook. Windows OS: Supports all Windows versions 10, Windows 8/8.1, Windows 7, and all others. MS Outlook: Supports all MS Outlook versions Outlook 2016, Outlook 2013, Outlook 2010, Outlook 2007, and Outlook 2003. 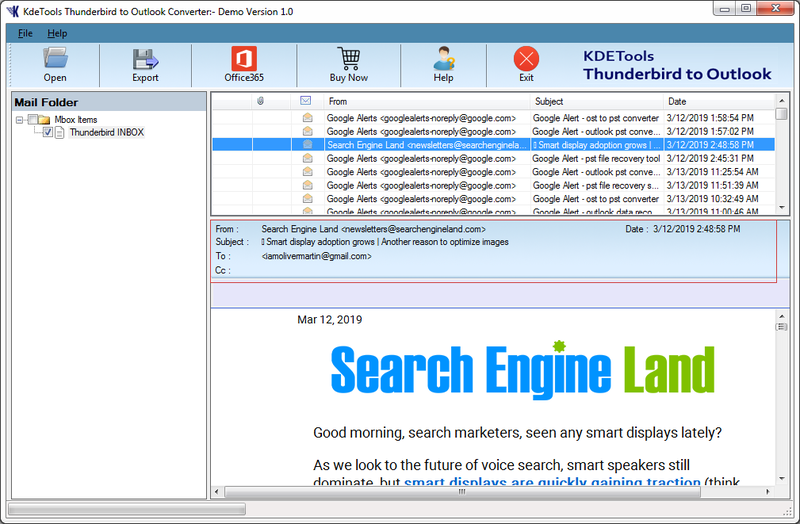 *Free download enables you to check Thunderbird MBOX file contents and save initial 30 messages. KDETools PST to MBOX Converter exports PST files to MBOX, EMLX, EML & format. 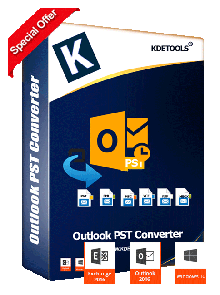 KDETools Outlook PST converter helps users to convert PST file to MBOX, MSG, PDF, & etc.